Autumn is missing! We moved into a new house (a block west of Sunshine and National on Florence) 3 weeks ago and she had been in and out several times. I let her out Sunday, May 7th and we haven’t seen her since. Please help us find her! 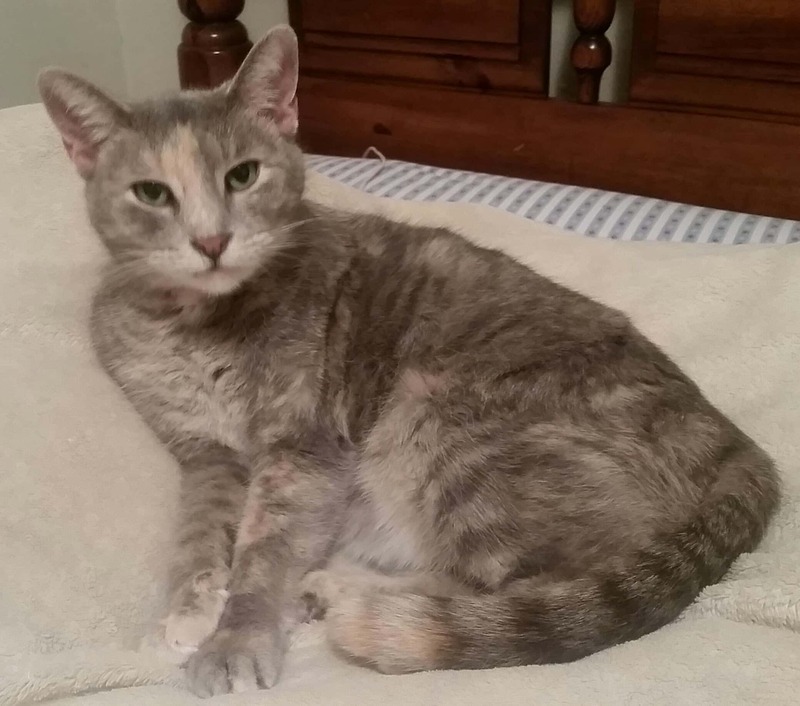 She is a spayed light grey Tabby with orange markings and an orange and white belly. The end of her grey tail is orange…kind of looks like a rattlesnake tail. Her eyes are very green. She is 10 years old and super friendly. We miss her very much! My phone is 417-861-3640 and my email address is tayzmom1992@gmail.com.